I am a firm believer that there is only one "rule" in fashion: wear what makes you feel comfortable and most like you. That being said, I definitely don't follow the "no white pants after Labor Day" rule. Besides, fashion experts have been saying for years that we can throw that age-old debate right out the window! White pants are still mainly associated with summer though. Perhaps it is because the clean, crisp appearance works so well with bright colors, or maybe it is because people are still afraid to "break the rule." I styled three outfits that will easily take those white pants from summer to fall and make you forget about that silly "rule" in no time! When styling white pants outside of the summer season, try pairing with dark or neutral colors such as black, camel or navy. Mustard is also a great option for fall. And as always, you can never go wrong with chambray! Add a pop of leopard with your shoes or accessories for a bold, yet timeless fall look. Tortoise is also a classic way to accessorize and looks gorgeous against a white canvas. What do you think? 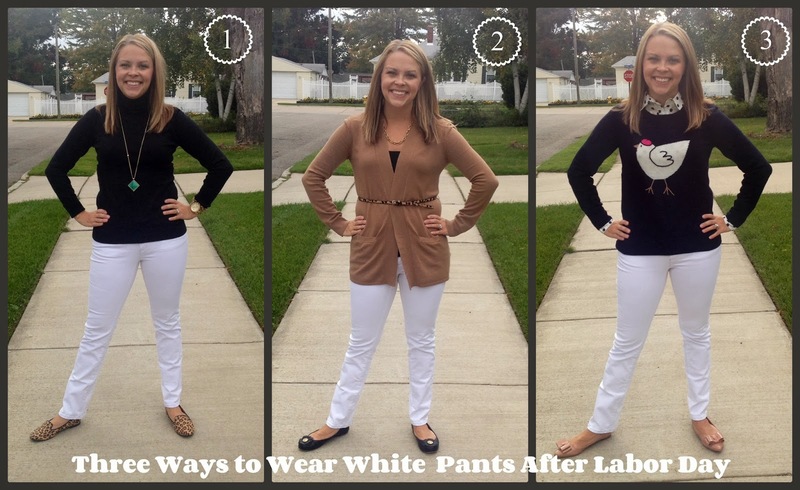 Are white pants after Labor Day still a fashion faux-pas? How would you style white pants for the fall season? P.S. 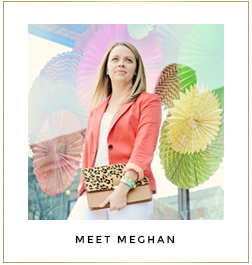 Only two more days to enter the $500 Cash Giveaway!